My name is Julio Garcia and I was a minority whip in the House of Representatives. The whips are responsible for getting the speaker’s list in order. Whips also inform the representatives of party line votes on key bills. Next year will be my third year in the club and I intend to run for minority leader in the House. 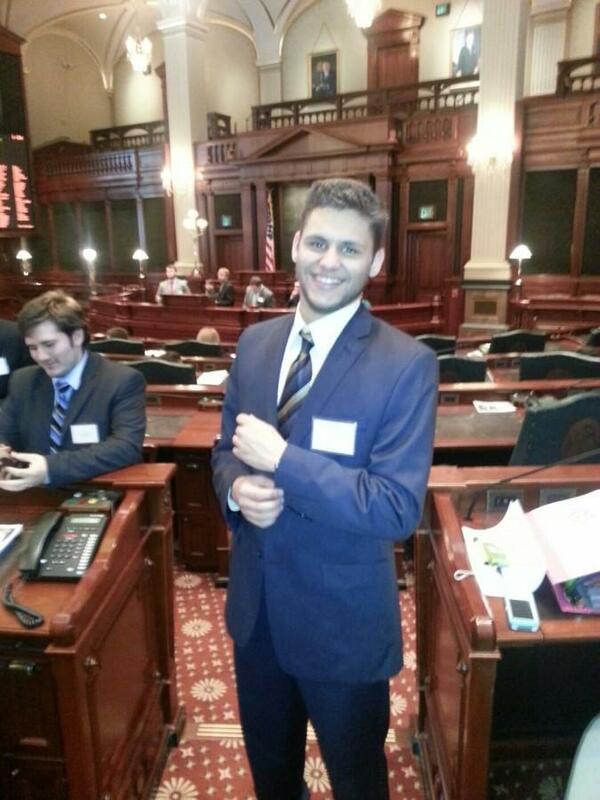 Model Illinois Government (MIG) is a great organization to join. Schools from all parts of Illinois attend. The simulation itself has been going on for 33 years. Every spring semester schools send down a delegation, which varies in size, to Springfield. The goal of the simulation is to get a better understanding of our local state legislature. There are many different roles in the organization ranging from Senator, Congressman, journalist and even lobbyists. As part of the simulation individuals get to experience something that 99 percent of the population doesn’t get to see. Aside from learning about our government, the simulation is a great way to develop leadership, communication and oratory skills. Many of the students that attend the simulation are doing it as a requirement for a class. Our school has the distinction of sending down a club. Northeastern Illinois University (NEIU) is one of the few schools that does not have a class requirement or credit. In order for our club to go, we have to pay a registration fee and fundraise. During that weekend members make long lasting friendships and relationships that will benefit a lifetime. As a student, joining a club is necessary to get a sense of community within NEIU, and what better way to do so then join MIG.